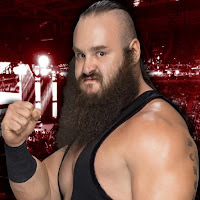 - As noted, WWE did an injury angle on tonight's RAW that saw Braun Strowman take a brutal beatdown from Bobby Lashley, Drew McIntyre and Acting RAW General Manager Baron Corbin. Michael Cole later announced that Strowman was taken to a local medical facility and that he suffered a shattered elbow during the attack. Strowman was bleeding him his elbow but this is believed to be a storyline injury to build to Strowman's WWE TLC match with Corbin on December 16. - WWE introduced Lucha House Rules on tonight's RAW in Los Angeles as Lucha House Party defeated The Revival in tag team action. Below is video from that match. The rule allows Kalisto, Gran Metalik and Lince Dorado to all participate in tag team matches. Below is post-match video of Cathy Kelley talking to Kalisto, Lince and Metalik about the new rule. They are very happy about the advantage. Kalisto says they are very unpredictable and what happens at a Lucha House Party stays at a Lucha House Party. - Here is a new main roster "coming soon" vignette for WWE NXT Superstar Lars Sullivan. It looks like they are billing him as The Rocky Mountain Monster instead of The Freak.